American rapper, Meek Mill, whose real name is Robert Rihmeek Williams has been sentenced to 2-4 years in state prison by a Philadelphia judge for violating the terms of his probation stemming from a drug and weapons conviction in 2009. Source told Washington Post, that Common Pleas judge Genece Brinkley cited a failed drugs test and failure to comply with restrictions on his travel as reasons for his sentencing. 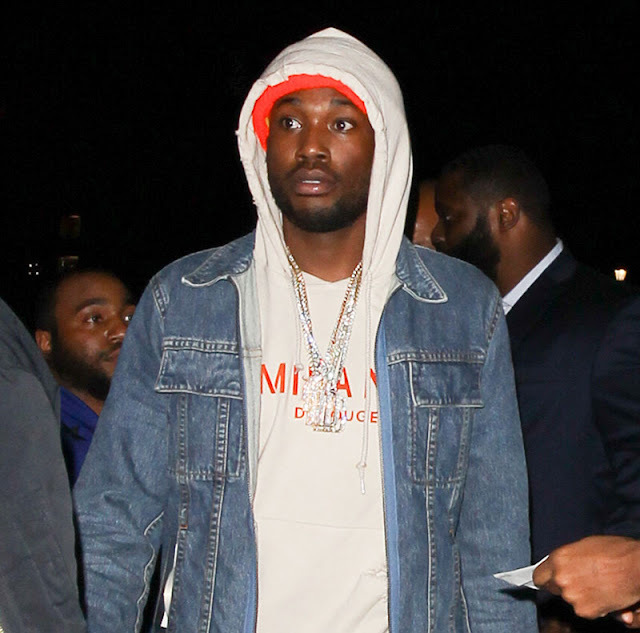 Brinkley however is reported to be fed up of Meek Mill, insisted that she has tried to help him out for a decade and he just does what he wants. In February last year, he was sentenced to 90 days house arrest following a parole violation.